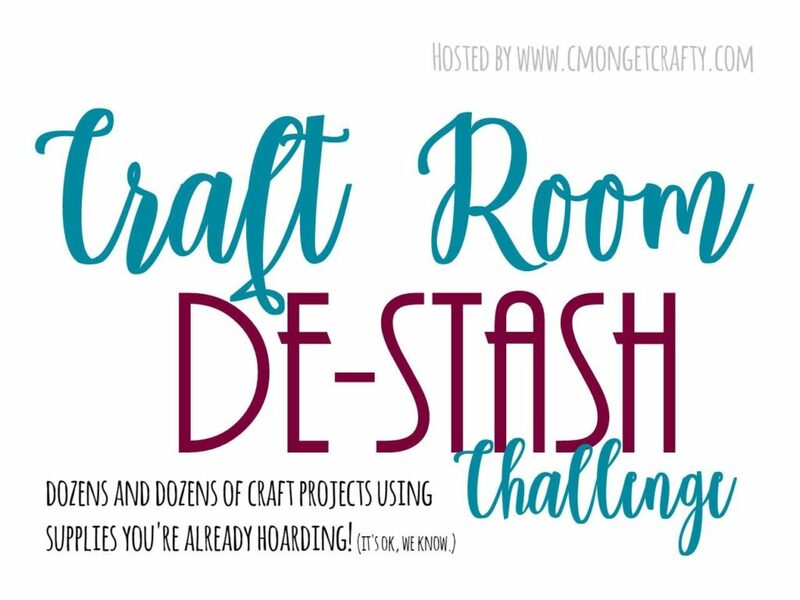 We are back with our monthly crafty destash hosted by Megan of C’mon Get Crafty. 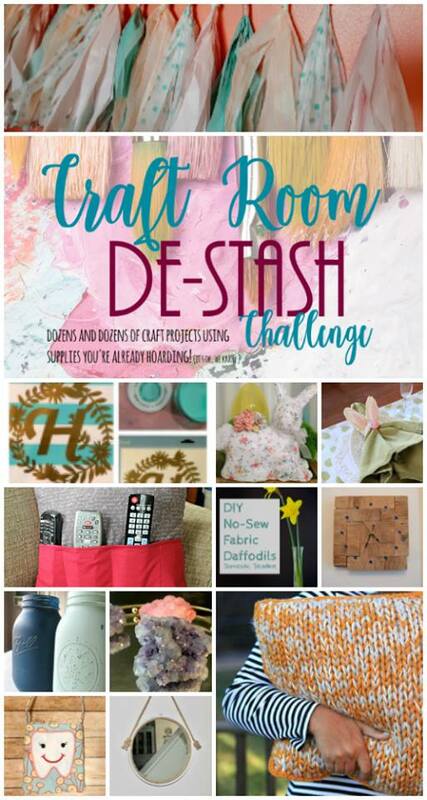 This is a fun challenge where a group of bloggers make something with items from their “stash”. We have to use what we have and cannot spend more than $10. I did not have to spend anything this month as I had these items on hand. Love when that happens! I wanted the hoop to be white as it goes better with my decor, so I gave it two coats of White Chalk Paint. Once it dried I added a cup hook to each side and hot glued it to the mirror. 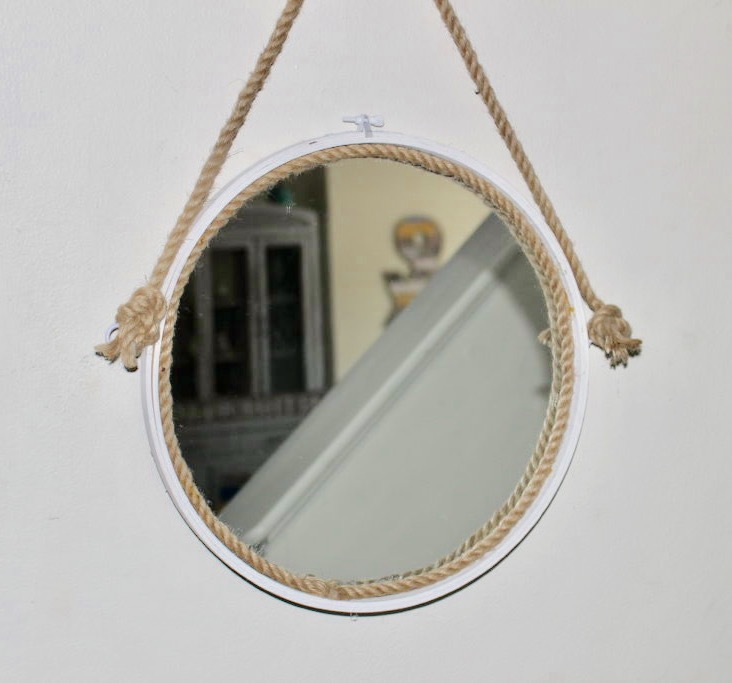 I added a piece of rope around the inside of the mirror as it looked a little plain. Finally, just tie the rope to each cup hook and hang! How simple was that? It’s the perfect size for the entryway so you can check your makeup as you’re heading out the door. 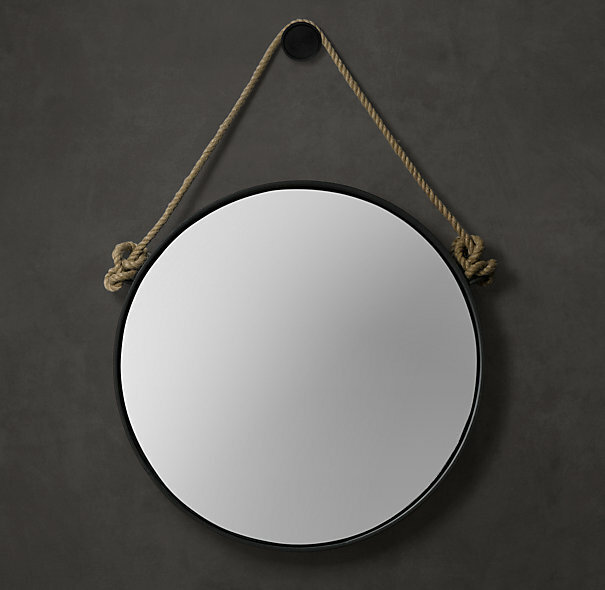 The best thing about this Captains Mirror is it was $640 less than the inspiration piece! Head on over to the other bloggers and see what they are creating from their stash. I’m always so inspired after this challenge. Have a great day! I love mirrors and this is one great idea. And so easy to do and to customize to your decor. What an amazing knock off! Hey Michelle, what a great idea! And you did a great job recreating it…and cleaning out your stash. This is such a clever way to make a captain’s mirror. I love it! 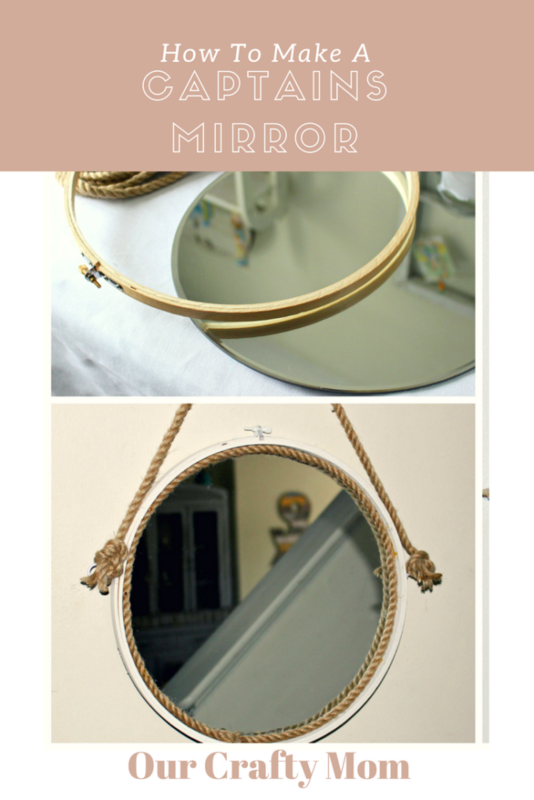 This is such an awesome use of your supplies to make a new trendy mirror for a fraction of the price. Awesome! You did such a great job on this. 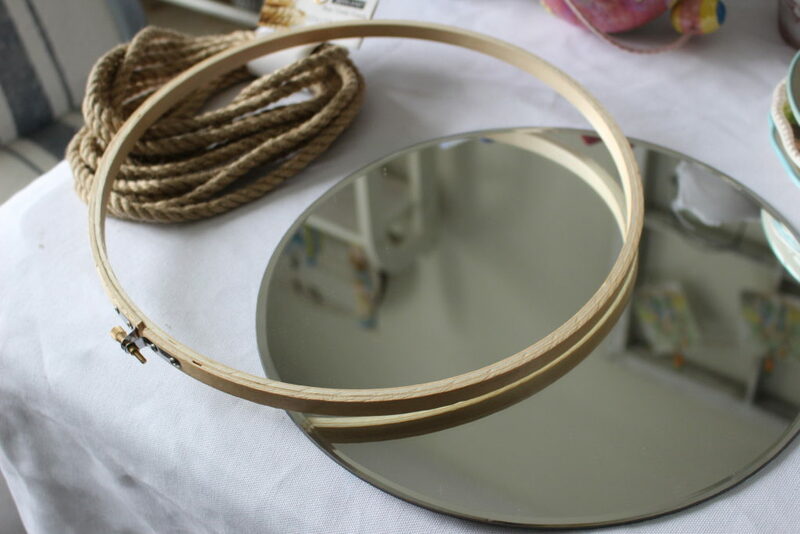 I don’t think I would ever have thought to use the hoop to make a mirror! You are talented! I love it. I like yours better than the expensive store bought one! What a fun project. Now THAT is a great savings! 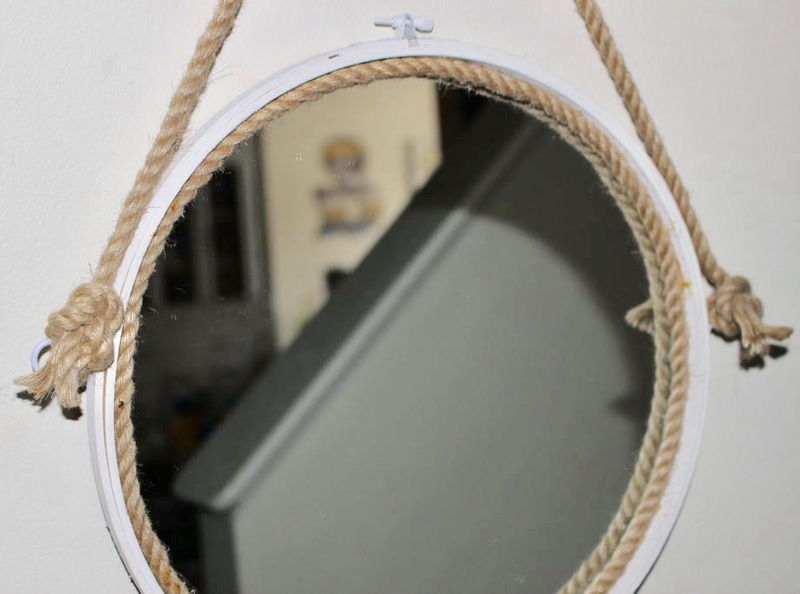 I like the rope lining the mirror better than the original even! I love your version so much better. what a great job Michelle. Love it. For the record, I like your version better. ? 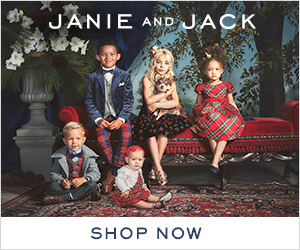 Wow, I love this, it’s so cute! I might need to make one for our beach house. I like your mirror much better, but isn’t it funny to say you saved $640 by doing it yourself? Genius idea! Yours looks just as nice as the $650 version. This is so clever! I love how modern and sleek it looks, I’d have never guessed an embroidery hoop. It looks like a piece that would sell at a high end decor store. Great job! Pinned!